Features of our old world white finish. 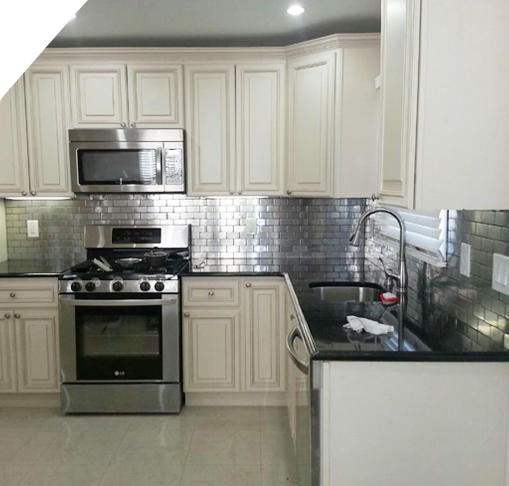 Its antique white color makes it stand out from all other cabinets. This cabinet line is a thing of beauty.Coupled with the raised panel doors and raised trim accents, along with soft-closing drawers. 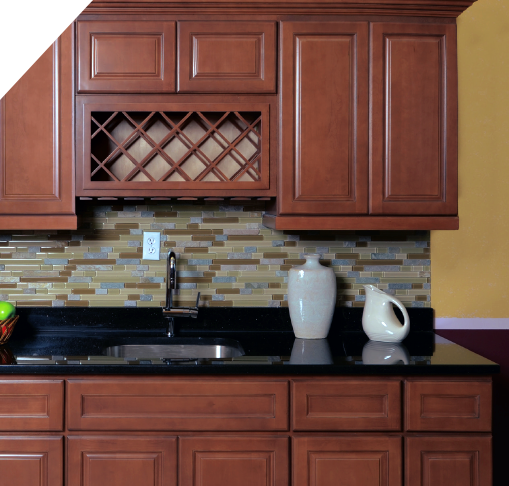 Toffee versatile product line can make any space the center of your kitchen’s attention. 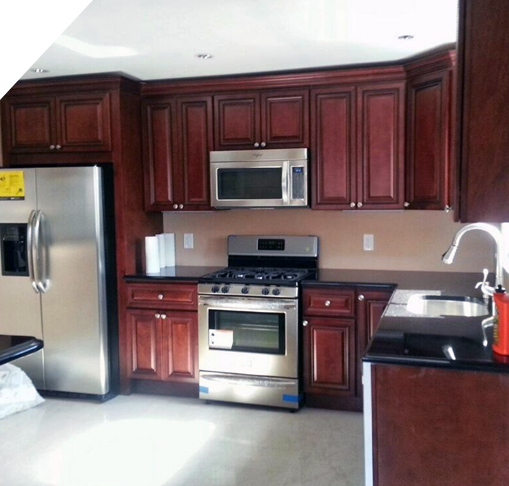 With its light, glazed wood and exquisite embellishments, this kitchen proves you can make a statement with cabinetry. The Brandy Line offers a Rich Cherry color. It comes with under-mount drawer glides and natural wood drawer boxes. 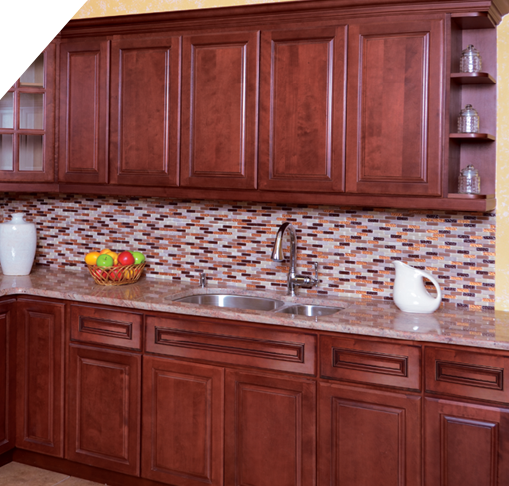 Because of its rich color it goes well with any color pallet and will make your kitchen look as elegant as ever.